Luxembourg city and towns hosted lavishly the International Society for Contemporary Music's annual meeting and General Assembly, based at the Novotel in the Plateau de Kirchberg, which houses the European Parliament and looks back upon the vast, glass cladded Jean Monnet housing estate. We were looked after attentively throughout our stay and transported with the delegates and composers into the city centre and to more distant venues in this small, beautiful country, which plays so important a part in the affairs of Europe. It was a convivial meeting of people from at least fifty-two countries, many of them working in considerable isolation and uncaring environments, where university-based contemporary music rates low amongst more pressing recreational and social priorities. "Without proscription of melodic elements - - "; thus did one of the composers introduce her piece in the programme book. Let that stand as a motto to bear in mind whilst reading on. This report of events attended during the earlier days is necessarily personal and selective. Regrettably we did not hear the Philharmonic Orchestra of Luxembourg or Musikfabrik (Dusseldorf), and neither the Radio Symphony Orchestra of Saarbrucken Rundfunk (under Oswald Sallaberger, who made such a strong impression at Strasbourg) nor our own BBC Symphony Orchestra, amongst much else. No composer can please everyone and no critic can be expected to respond to everything; there was also the hazard to contend with of too concentrated an exposure to unfamiliar and somewhat similar contemporary music, which can dull receptivity. The opening concert was given in the ornate Cercle Municipal by the Chamber Orchestra of Switzerland from Fribourg. To some suprise, the overture to the operetta Mumm Séis (Sweet Mum!) by Edmond de la Fontaine (1823-91), regarded as a masterpiece of Luxembourgish musical heritage, its tunes known by everybody, was chosen to begin a sponsor-friendly programme which would not have offended establishment ears. We heard Unto these yellow sands by Lars Graugaard, Artistic Director of the World Music Days in Stockholm, 1996, a flute concerto by Marcel Wengler, a prolific composer, noted conductor and energiser and Artistic Director of this year's ISCM concerts. 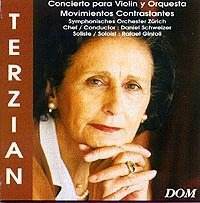 There was also an arresting viola concerto from Romania. Dan Dediu (b 1967) begins his Lichtung des Schreiseins (Viola Concerto No. 2) with slow glissandi from the soloist, whose rewarding part combines Romanian folk-fiddling features with more advanced techniques, such as a long passage in high harmonics. The expert, unselfconscious Marius Ungureano had to deliver one shock. Dediu's soloist is required to give voice to anguished screams at certain points, a challenge for musicians of a retiring nature, those being the ones who often take up that usually unassertive instrument. 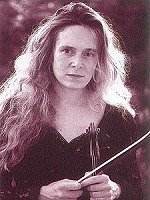 There was a contrast between the exhibitionist solo violist and the fairly conventional string orchestra accompaniment, which made me think it would be a good piece for schools and colleges to consider for their orchestral concerts, to help open the ears of young musicians to the possibilities of their instruments . Afterwards I learned from the composer the piece's curious history. The score had been commissioned by a Swiss architect for an amateur orchestra in which he played violin; the solo part intended for a professional violist, a member of the Zurich Tonhalle Orchestra and a friend of the architect. During the week one could not however escape the feeling that much of the music programmed had something of a sameness, which could be characterised as western university academicism. Dan Dediu's concerto had escaped that uniformity, and another striking exception was to be heard later in the week, an oasis in the midst of a typically strenuous Arditti Quartet concert, held out in the country at Echternach. Quartets by Kimmo Hakola, Hilda Parades and, most notably, James Dillon's No. 3 impressed this listener, but it was Rashid Kalimoullin of Tartastan who secured the warmest response. His Quartet No. 4 was based on a Japanese folk song which penetrated the whole composition, 'close to Tatar folk songs in its image and tone'. The ovation, from an audience consisting preponderantly of ISCM delegates and composers, was renewed when Kalimoullin joined the coach back to the City - giving pause for thought about the predominant selection policy for the Music Days. The first full day had been full indeed, with events almost continuous from 11.30 in the morning until around midnight, and scarce a break to eat! For some of us it ended prematurely after a bemusing three-hour farrago by Ensemble United Berlin and Das Neue Ensemble (Hanover), which purported to 'evaluate the artistic parameters of music, light & image from the new viewpoint of aesthetics of performance - - - interplay of space-colour-music of which we were privileged witnesses'! This pretentious endurance test involved famous Schubert songs given a new look and sound, with three cross-dressed singers and three pianists, playing all at once on three grand pianos; all this and much more - too tedious to attempt to describe - with rather crude sub-Kandinsky (?) coloured screens, lit 'with luminous force' that 'pierces, opens and cancels space' - - etc. Around 10.45, standing in the rain somewhere outside town, waiting for transport to take us all on to an 11 p.m. dance event with electronic music, there was an incipient rebellion of exhausted delegates and new-music followers, who insisted on opting out, and that one of the two coaches which ferried us around the locality to the different venues should return to the base hotel instead! The day had begun well, with an enjoyable concert by a fine group from Berne, the oddly titled Ensemble Antipodes, which was founded on the line-up for Schubert's Octet, but has gone on to specialise in new music. Helmut Zapf's Octet utilised the full range of advanced techniques, but did so in a natural, organic manner, building a structure which was easy to follow, as did too the Japanese composer Makoto Shinohara in Evolution for solo cello (Imke Frank), built from 45 short fragments which respect the essential nature of the cello. It explores, with new sounds from pure tones through to noise, its new individuality and richness of virtuosity. This would be an excellent piece to open ears in a conventional cello recital and, at the sane time, give the pianist a rest. A Morton Feldman 'happening' started at lunch time, just inside the entrance to the Cercle Municipal from the busy market square. Three members of the Neue Ensemble of Hanover had embarked upon the 4½ hour For Philip Guston when entered a group of paramedics in hospital operating-theatre garb, attracting the attention of curious passers-by. They tested the temperatures, pulses and blood pressures of the musicians, who continued unperturbed playing ppp. Next they set up a blood transfusion for one of them, and started to install each in turn in a wheelchair, in which they were pushed outside to a waiting mini-ambulance, thereby interrupting the performance. Only the following day did we learn that the 'hospital' transport had taken them straight to the Theatre Municipal at Esch, where they resumed their playing in the foyer, continuing until the evening audience arrived at the theatre. Feldman's unique creations are fragile and demand a quiet environment, and to make their proper effect need an attentive, sympathetic and receptive audience. Such a protracted and fragmented 'happening' (with no-one having been able to follow it as a whole) ran the risk that any message envisaged by its instigator, Marcel Wengler, might be misconstrued. Whilst that small drama was proceeding, we were taken to the Conservatoire at Esch for a refreshingly unpretentious concert by a quartet of laid-back young musicians (flute + piano trio) who call themselves The Pearls before Swine Experience (alluding to how most people think of new 'classical' music as 'pointless exercises in impossible languages played for a marginal audience by fanatic elitists'). They, instead, make it their mission to take short, specially composed pieces to jazz clubs, rock locals and music bars, 'where the people are'. Their items were introduced with disarming informality, and without too much compromise in the selection offered and we passed a pleasant hour in their company. Notable items were the quicksilver a presto by Mats Larsson, and Tristan Murail's scintillating Feuilles à travers les cloches with a rarefied central passage and a final flourish - the participation of a well-tuned mobile phone was for once not too incongruous! To send audiences out with a smile, a good encore piece, worth searching out, is Philip Mortensen's Quartet, four feather-light little bagatelles over which he had agonised long before finally arriving at the work's title! The Basel Electric Art Messengers and guests, directed from the console by Thomas Kessler, gave an intriguing live-electronics Sunday morning concert in the Theatre des Capuchins., a superbly converted monastery. Best for us were the wholly original and dramatic Wassermusik, performed in and over a tank of water by its creator Wolfgang Heiniger (percussionist and co-founder with Kessler of B.E.A.M.) and two items involving the lovely soprano Sylvia Nopper, notable for her purity of tone and precise, vibrato-free intonation. For the Franco-Argentinian José Luis Campana's Tangata vocale, Sylvia Nopper was joined by two percussionists, and there was a larger group of musicians for the Swiss Rudolf Kelterborn's remembering Shakespeare - settings of passages of Juliet & Ophelia of which, despite all the singer's care and skill, the words could not be followed even by English-speaking listeners (with all the expensive equipment installed, surtitles would have helped immensely). The church setting, and the rapt concentration of the audience, brought to mind irreverent religious images during this solemn service to the new electronic deity and some of the works held multiple resonances. The microphones were set up in the form of a crucifix, and Wolfgang Heiniger washed his hands like a latter-day Pontius Pilate to perform his Wassermusik. Heiniger describes this piece of 'liquid musique-concrete' rather modestly as a 'study about the art of hearing noise (or not hearing it)'. He says that the piece can also be about 'a storm in a glass'. He stood centre stage in semi-darkness, his hands immersed in a glass tank filled with water. At first the light focussed on the hands held still but looking magnified and distorted through the prism of water. Slowly and rhythmically the hands stirred and were cupped trying to trap the water running through the fingers. Vision and sound were integrated. The sounds flowed like water, drips and splashes were uncontrolled, and uncontrollable chaotic elements which were held in place by rhythmic pulses in visual movements, as well as aural patterns manipulated electronically. The more and more frantic stirrings and cuppings of water felt like attempts at trapping time, musical time, metaphorical time and life time, which inexorably slips or runs away. A very exciting work, reaching way beyond the immediacy of the sounds it created. On Sunday afternoon we were taken to the beautifully restored medieval castle of Vianden. This structure embodies in 'stone and mortar' the values of tradition and survival, but it seems to belie the changes and social turmoils which have also been part of its life through some eight centuries. In one of the halls of this fairy-tale castle, the Continuum Ensemble of New York, director Joel Sachs, played works mostly within a tradition of Western New Music. That ambience did not seem to mesh too well with the New Music aesthetic, which could be said to be in danger of remaining locked inside its own ivory tower, unable to communicate with the culture at large. It took Francis Schwartz, an American composer and noted 'polyartist', to open the windows on this occasion to let in a breath of fresh air. For his Daimon II the performers had to communicate through body language beyond their particular musical instruments. Rhythmic audible breathing, clapping and stamping added to the sound picture. Grimacing, including silent screaming, made us aware that what is not articulated in a given context is as important as what is worked out explicitly and audibly. The audience was drawn into the performance by Joel Sachs, encouraged to participate with loud breathing and noisy stamping. Even in its limited way (we remained rather decorous and muted) this was liberating. Schwarz had opened the door as if to say 'we are here, come in and have some fun. It is not all doom and gloom inside this ivory dungeon!' This work also leads one to question classical music's staid conventions, or rituals, of audiences sitting silently in rows, immobile and passively receiving earfuls of sound. In Diekirch, the Arta Woodwind Quintet from Munich gave a Brazilian piece of twelve-tone construction purporting to contrast rationalism and intuition, which proved so bland that the composer Liduino Pitombeira might better have discarded such props and trusted to instinct. Dora Cojocaru of Romania had a lively set with strong gestures based on economical chromatic material and Carlos Zamora from Chile presented a quintet which involved rhythmic tapping on the instruments to accompany each other - a self-made percussion section. The Prague Chamber Orchestra appeared in the vast, domed central atrium of the Deutsche Bank, in the governmental and commercial Kirnberger Plateau of Luxembourg. Their concert of seven unknown works was given without a break, to the displeasure of many who understandably found it hard to maintain concentration. 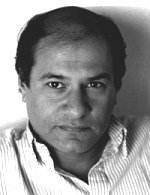 The most interesting, and the only one which left a really lasting impression, was by the Israeli composer Ari Ben-Shabetai. Delusions on Mozart's Ave Verum Corpus for piano (David Svec) & strings, five contrasted movements played continuously. It is an attempt to confront the desire and contemporary expectation that compositions should endeavour to make personal statements, renewed for each work, without mimicking other composers, or allowing oneself to be overwhelmed by colossi of such as Mozart and nostalgia for the music of the past. Delusions derives its materials from Mozart's Motet, mostly on a micro-motivic level. Ben-Shabetai's attraction to the three descending chromatic notes - A - G #- G, - from very beginning, which add to it so much beauty and charm, sparked his quest for unusual chromatic relationships and sends Delusions on its wild tonal/atonal escapade. Its fifth movement ends the work with a slow, distorted rendition of Ave Verum Corpus, like an unreal reflection through a crooked mirror. For the appearance of the Luxembourg Chamber Orchestra, its director Marcel Wengler had devised a programme of three works dealing from different viewpoints with the fallen angel Lucifer. Although the original texts in German & French had been printed, by an oversight they were not distributed before the concert, nor were any synopses provided in the programme to help this international audience from every continent! Even for German speakers, it was hard to understand more than an occasional phrase. Another feat of memory was Vania Lecuit's for the Albanian composer Thomas Simaku's Soliloquy, the most talked about event in a day which was to end disappointingly with a huge, exhausting major work by Rihm, which seemed to have said all within the first quarter hour. Simaku studied in England and Soliloquy is published by York Music Press; something for enterprising violinists to seek out for contrast in duo recitals with piano. It is a piece of unaccompanied violin writing which brings out the instrument's natural genius for passionate expression, fully realised in the young Luxembourg violinist Vania Lecuit's riveting interpretation (there had not been a lot of passion in the week's music making). It was the Ensemble Modern conducted by Dominique My, in the visually and acoustically magnificent new arts centre in the small town of Ettelbruck, who brought their formidable expertise to Wolfgang Rihm's Jagden und Formen (version No. X of a work still in progress! 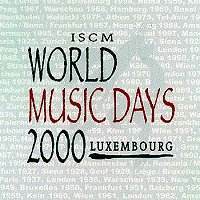 ), which was the last score we heard in our own Luxembourg days of music. Jagden und Formen had begun excitingly enough with two violins (one Jagdy Mistry, formerly leader of the Mistry String Quartet, responsible for the last & best volume of the complete Elizabeth Maconchy quartets on Unicorn-Kanchana DKP 9082). They launched at high speed a contrapuntal build-up of cumulative energy and complexity which was maintained with a prolonged succession of climaxes. It was upstaged by Maze, an engagingly unpredicatable and skilfully paced and orchestrated piece by the Italian/Australian composer Raffaele Marcellino, which won fully deserved approbation. Our Strasbourg concerts had been notable for a new virtuoso solo flautist, Mario Caroli. I end this report with one of the most enjoyable and memorable events in Luxembourg, a concert by an orchestra of some 30 flutes the previous day. The Orchestre de Flûtes Français directed by Pierre-Alain Biget, had the famous flautist Pierre-Yves Artaud as soloist; he also took his place in the orchestra with his monstrous octobasse flute. It was fascinating to hear how several composers met the challenge of this unusual ensemble. 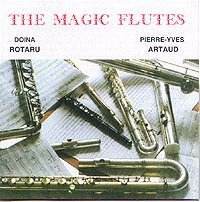 Only Doina Rotaru of Romania, a composer with a completely original voice (who has in her catalogue a dozen works for flute 'the favourite musical instrument in the dialogue with gods') exploited the darker potential of the lower registers and lower members of the flute family. Her ritualistic Wings of Light ascended from dark to spiritual light. 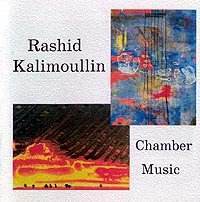 On the drive back across Europe, it was a pleasure to listen to several recommendable CDs given by their composers to Seen&Heard as souvenirs of World Music Days: Rashid Kalimoullin's chamber music with his 3rd string quartet [Union of Composers of Tartastan Republic RKIII]; Doina Rotaru's The Magic Flutes including two of her flute concertos, with Pierre-Yves Artaud and the combined French & Netherlands flutes orchestras [DRCD-1001 UCMR-ADA 7717012] (her orchestral CD from Huddersfield has been reviewed previously on MotW [MPS CD007] and the violin concerto of Alicia Terzian from Argentina, composer/conductor and executive secretary of UNESCO's Council of the Music of the Three Americas, [DOM 1442].